This pond includes two creeks and a fish cave to possibly harbor fish in the future. This water feature replaced an existing feature. 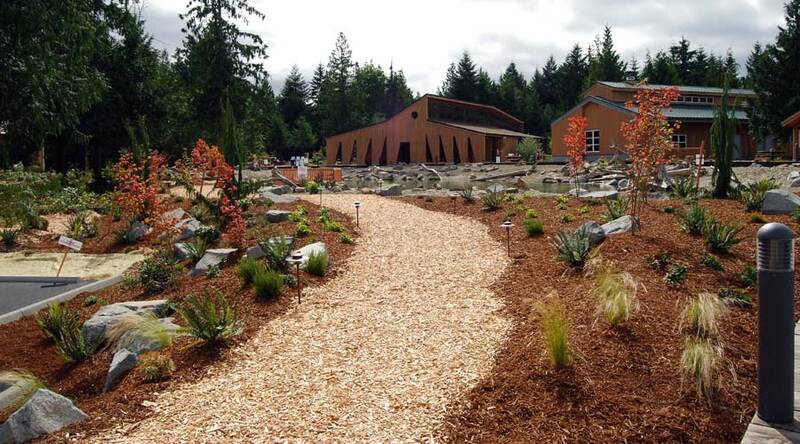 It was built as a memorial to Squaxin tribal member that have served in the military, and actually connects to a larger water feature at the Squaxin tribal center. 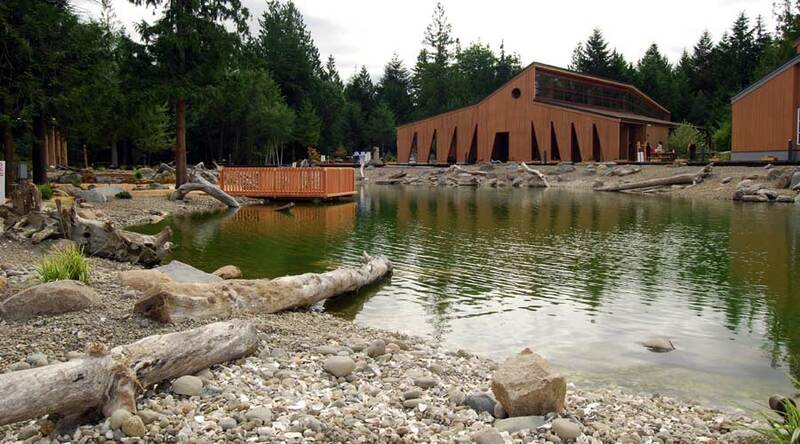 This pond was installed to capture the image of the Puget Sound, which represents the Squaxin tribe’s heritage. 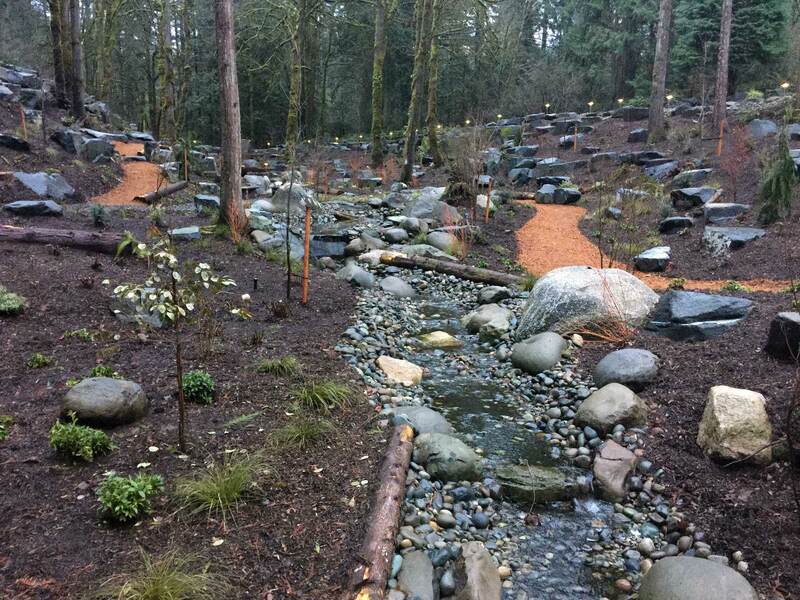 This project also includes a creek and a large wetland area that acts as the filter for the entire system. It is used as a place of gathering and reflection. This creek feeds into the pond at the Squaxin Tribal Center. 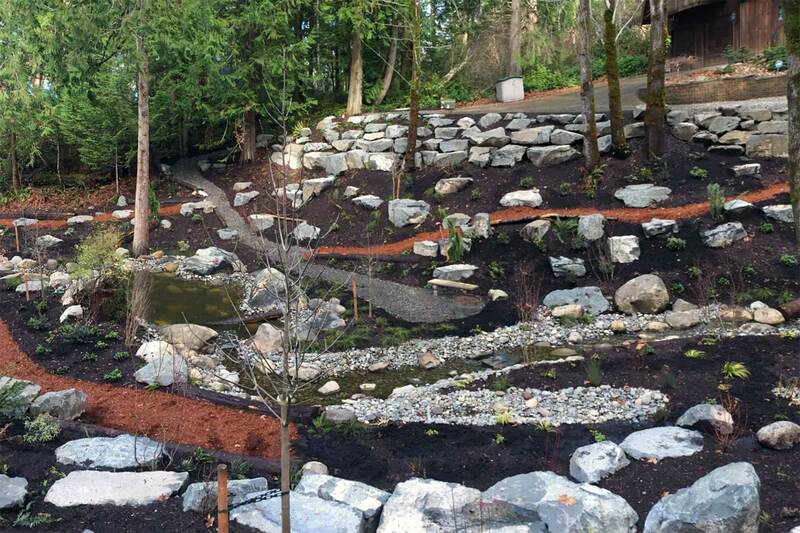 This project also includes a large wetland area that acts as the filter for the entire system. It is used as a place of gathering and reflection. 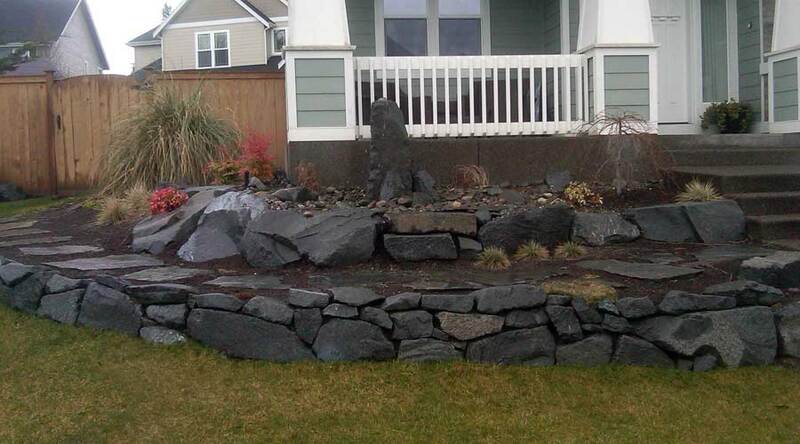 Water features are very versatile and can also be formal or natural and both at the same time. 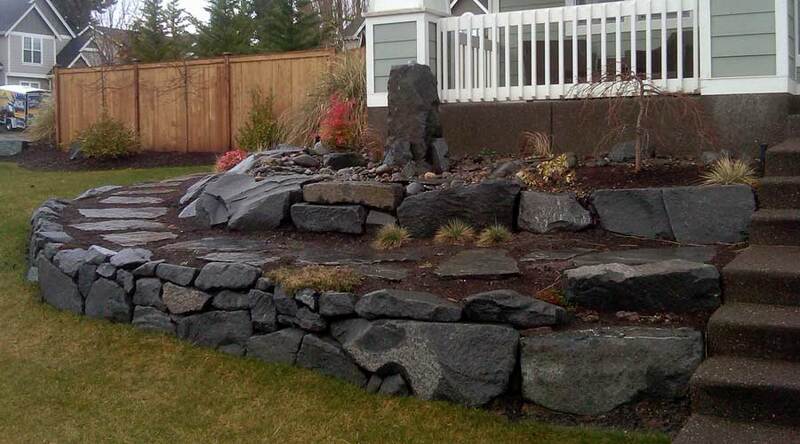 Water features can be fountains, streams, pools, ponds or a combination of elements. Really the only limitations to water features are budget and space. Other than those two items, there are countless possibilities, looks, and functions that water features can provide. 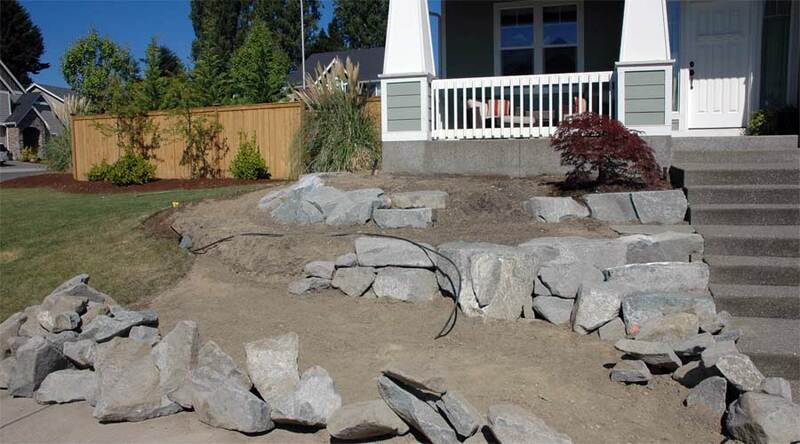 In most cases, some type of landscaping will be needed to create the look you want, so a budget for plants and other items you want to include should be considered as well as some type of irrigation for the planting. 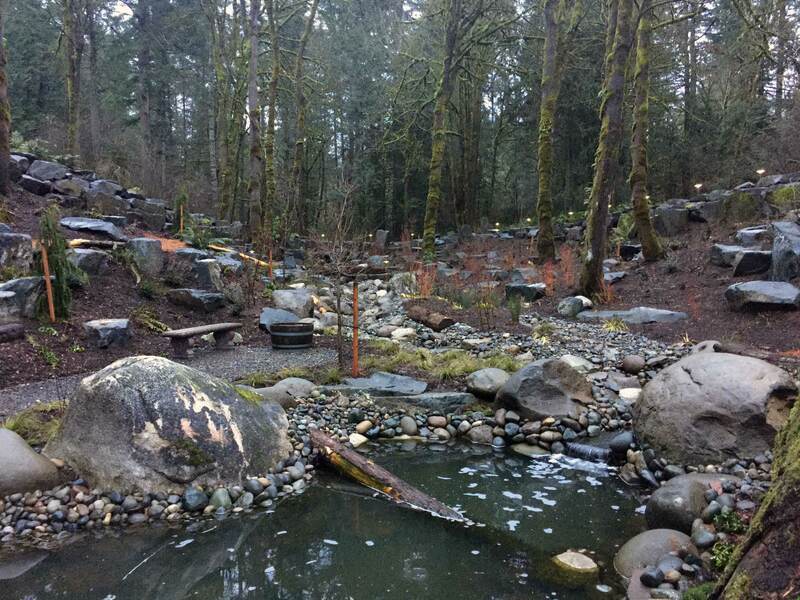 Water features are subject to some regular maintenance and that as well should be considered when you are deciding what type of water feature would best suit your lifestyle. As a general rule, the larger the water feature, the more maintenance will be required. Evaporation in a water feature is a consideration, especially during the summer. But, it does not have to be hot for water to evaporate. Water movement, wind and temperature are all contributors to evaporation. 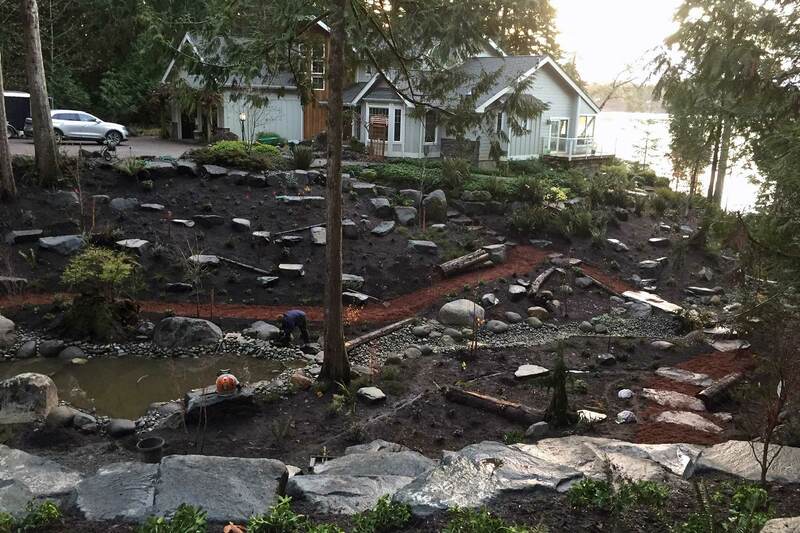 Thankfully there are auto-fill devices that can be installed in projects of all sizes as a convenience for you to help relieve some of the required maintenance that goes into a water feature. 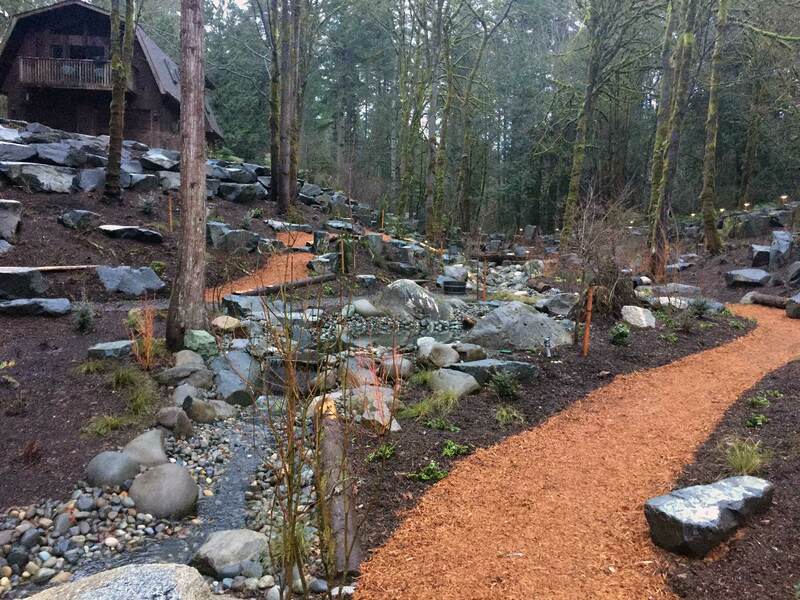 Designed to appear natural and blend in with the surrounding forest, this pond also has two streams that feed into the main pond. 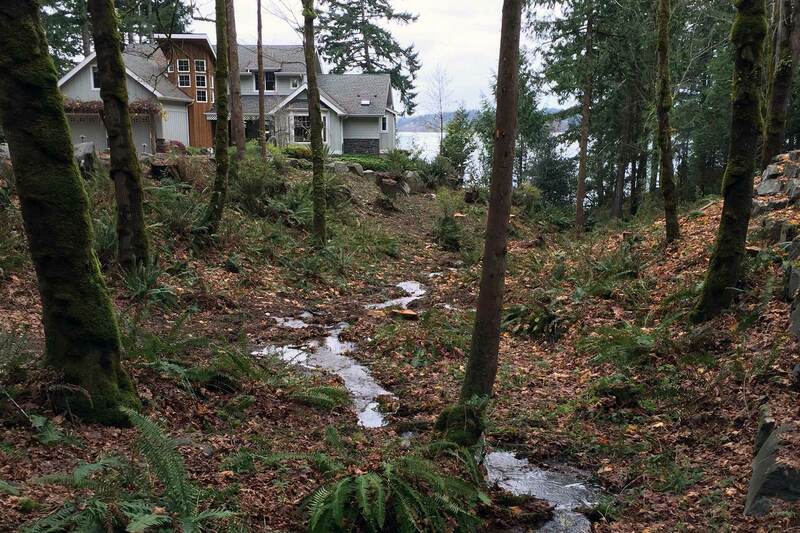 While your home or commercial landscaping project may not be on such a grand scale as the Squaxin Island property, this is a great example to demonstrate the possibilities available to you with our professional "dreamscaping" services. 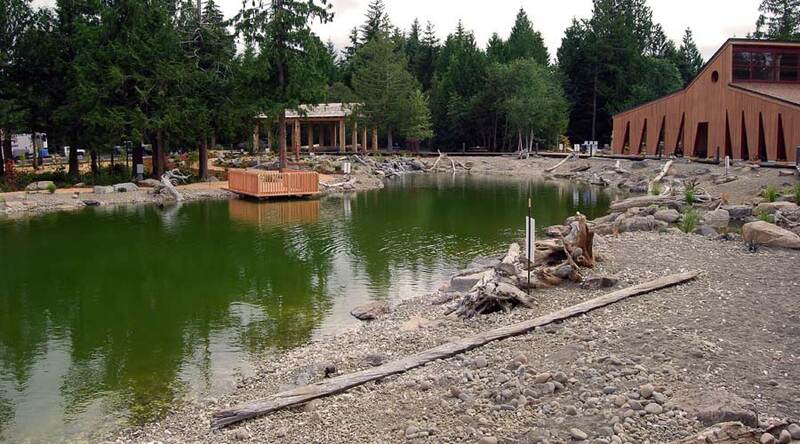 The Squaxin Tribal Center pond project was a huge undertaking. 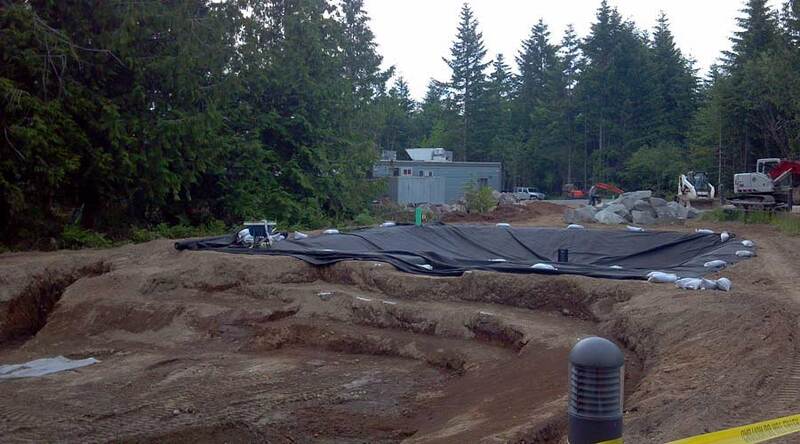 The reservoir for the biofilter alone is 30 x 30 feet. The elaborate water circulation system includes several pumps to feed the numerous water features.